If you and I were in a relationship on Facebook, I’d choose the relationship status “it’s complicated.” You know it and I know it. We have had a love/hate relationship since day one, and four years later, its still messy to describe my feelings for you or the way I affectionately refer to you as; ‘Disney Land in the Desert’. But in what’s becoming an expat tradition, I pen a letter to each city I live in, before I break up with it. You can read my letter to Singapore here: Dear Singapore I Think I Owe You an Apology. Oh Dubai, how I love to hate you. How I love to pick your faults and your inadequacies and share them with the rest of the world. How I love to declare you soul-less, superficial, glitzy, over the top and artificial. I arrived at your shores in 2014 with a head full of prejudices, biases and opinions. I was prepared to not like you or your glittering skyline. I was prepared to complain about your heat, your questionable working conditions for the many migrants who are the backbone of your construction industry, your obsession with shopping as if that’s the only activity to enjoy here, and your total lack of local culture. This is usually how the rest of the world sees you. Thanks to all the tourists who visit you and snap pictures at the top of the Burj Khalifa or inside the Dubai Mall, it’s hard to look beyond the 7-star hotels, the tallest building in the world and the man-made artificial islands to discover the ‘real’ you. But after four years as an expat living in Dubai, I’ve realized that is just your top most layer. The one you like to show off to the rest of the world. But for those Dubai residents who make the effort to peel off your skin and search through the next layers, what you show is even better. Dubai, it took me a while to get to know you, but I’m glad I made the effort. 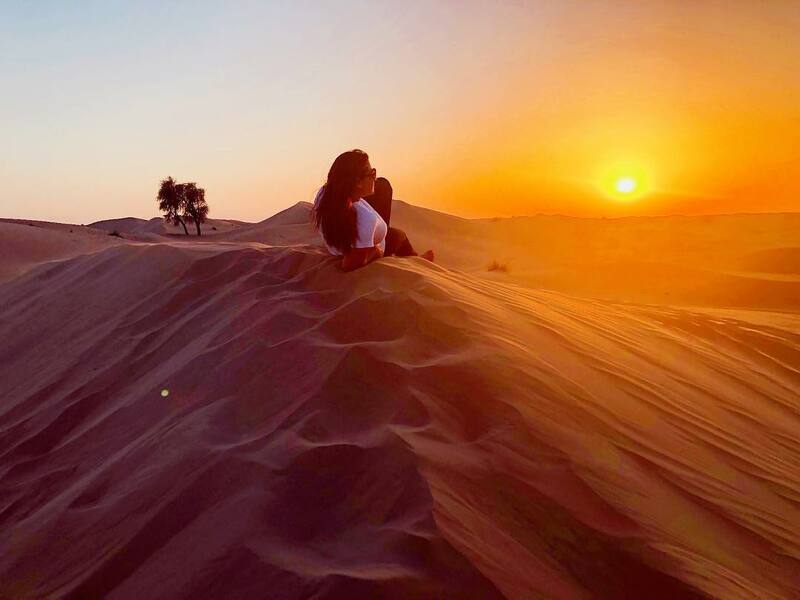 My fondest memories of you will be taking in a magnificent sunset in the Arabian desert. You showed me there is no better way to spend a weekend than sitting on top of a sand dune and letting the stillness embrace your mind, body and soul. I stopped craving for green, tropical lush vegetation and instead started appreciating the gentle slopes that sand can make when piled up together, or the simple contrast it could form under a clear blue sky. 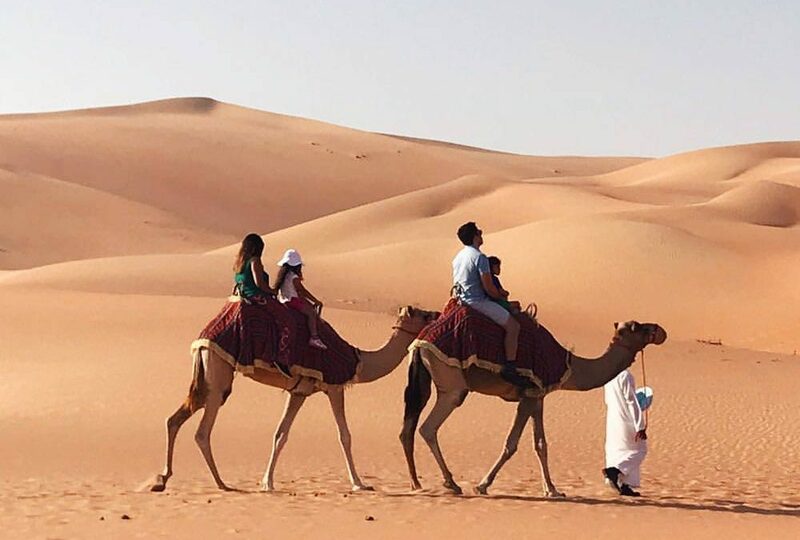 I took refuge in your golden sands and you taught me an important lesson; we can all steer ourselves in any direction we choose – in the desert and in life. Thanks to you, I now feel the most stable with sand underneath my feet, knowing it is up to me what mark I leave behind. Inspired by your ambition to greatness and your fondness for breaking world records, I too strove for higher conquests. Your entrepreneurial spirit rubbed off on me, and thanks to you Dubai, I launched my solo writing career. Thank you for giving me the inspiration to dream big. To chase those dreams and make them a reality. You played a pivotal role in launching my career as a writer and an author and for this, I am grateful. I will always owe part of my success to you. Determined that there was more to you than what meets the eye, I dove deep to discover the parts of you that I liked. And I was surprised by what I found. When the materialism of the Marina or the Lamborghinis on Sheikh Zayed Road got too much, I escaped to your old part of town; wandering the streets of Bastakiya, exploring the coffee museum, peeping into the art cafes, lunching at the Arabian Tea House & café, before catching one of your old wooden ‘abra’s’ to cross the Creek. This is how I fell in love with you Dubai. The aromas from the Spice Souk wafting in the air, haggling with eager shopkeepers through your Textile Souk, before admiring the beauty of your local mosques, filled my soul with wanderlust and an appreciation for the Bedouin tribes that settled by the Dubai Creek, hundreds of years ago. This is where I felt you and I finally connected; in our love for history and Bedouin culture under a starry skyline full of minarets. Your nomadic persona, called out to the nomad within me and I felt the same spirit of adventure bring us together. The desert was home for both of us, but we both knew there was joy in living a life free of geographical boundaries. I realized you have so much culture, if one only looks in the right places. 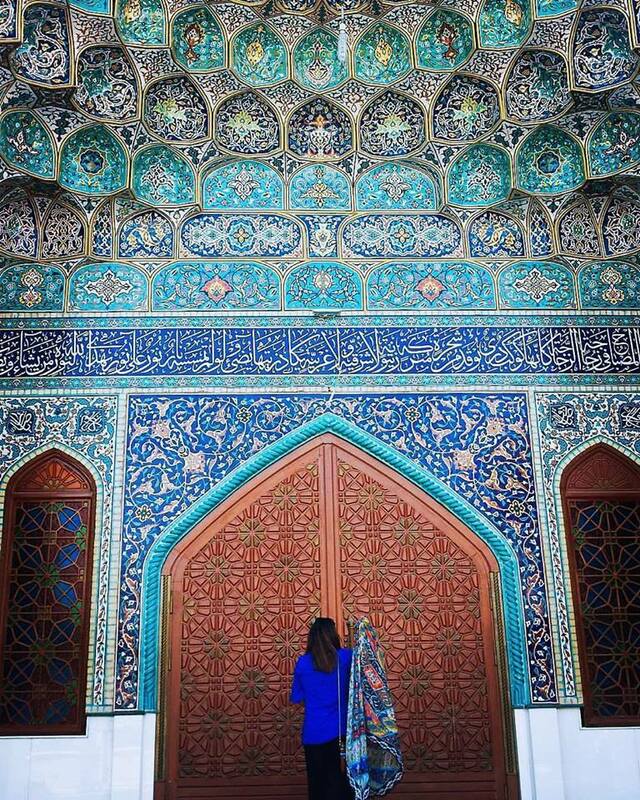 Your culture isn’t to be seen in buildings or in palaces that are a 100-years-old. I had been looking in all the wrong places. Your culture lay in your hospitality, in your old-world values, in your traditions like falconry and archery, in your sports like camel racing, in your language, in your poetry and in your Bedouin roots. The friendships I have made on your shores, will be friendships for life, there was nothing superficial about them. The way people stopped what they were doing and came to our rescue when our car got stuck in the Al Qudra Desert, are the Middle East experiences I will never forget. For the first time in my long expat life, I understood why you get such a bad international reputation. You are not so easy to figure out. You are not black or white. You mix tradition with modernity. You do business in English, but you do culture in Arabic. You break world records, but you are also silently working hard to improve the lives of those who have built you. You are still a young city and are far from perfect, but I am encouraged to see the steps locals and expats are taking to improve the lives of the migrant workers. From a volunteer organisation like Dubai Helping Hands which distributes food and amenities to those less fortunate to local start-ups like Rise who are helping Dubai nannies to open up bank accounts, to thousands of other community-led initiatives, shows me you are moving in the right direction. I hope you will continue this journey, because this (and not the Expo 2020) is truly what will make you great and a more equitable and just place for all. Please focus on the simple things like ensuring a well-run postal system. That five-star Bulgari hotel can wait. Please build more libraries and less shopping malls. Please unblock Skype and let people communicate freely. This is what will win you international recognition and local hearts and minds. I must also thank you Dubai, for giving me a safe and secure environment to raise my two children in. For giving me a multicultural, multiracial and multilingual society to raise them in as true global citizens with values of tolerance, respect and diversity. My daughter will continue to speak in Arabic and sing your national anthem. My son was born here, and he will forever be my link to you. A city where you give birth to your children, is one you can never truly break ties with. I will observe you from a distance, but you will forever be part of our story. My heart will leap when I see a mention of you on BBC or CNN and I’ll hope you are making the headlines for the right reasons. But I do have one last request. Can we please part as friends? Friends who visit perhaps and stay in touch? Friends who rejoice for one another and wish each other well on their respective journeys? I’d like that. I’d like that very much indeed. About the Author: Mariam Ottimofiore has been an expat for 17 years, 8 countries and 4 continents. She is an expat writer and author at ‘And Then We Moved To’ where she writes about expat life, raising multicultural children and world travel. Aside from the UAE, she has has also lived in the United States, Bahrain, United Kingdom, Pakistan, Germany, Denmark, and Singapore and holds dual Pakistani and Italian citizenship. She is the co-author of two books ‘Export Success and Industrial Linkages in South Asia’ (Palgrave Macmillan 2009) and Insights and Interviews from the 2017 Families in Global Transition Conference (Summertime Publishing 2018). 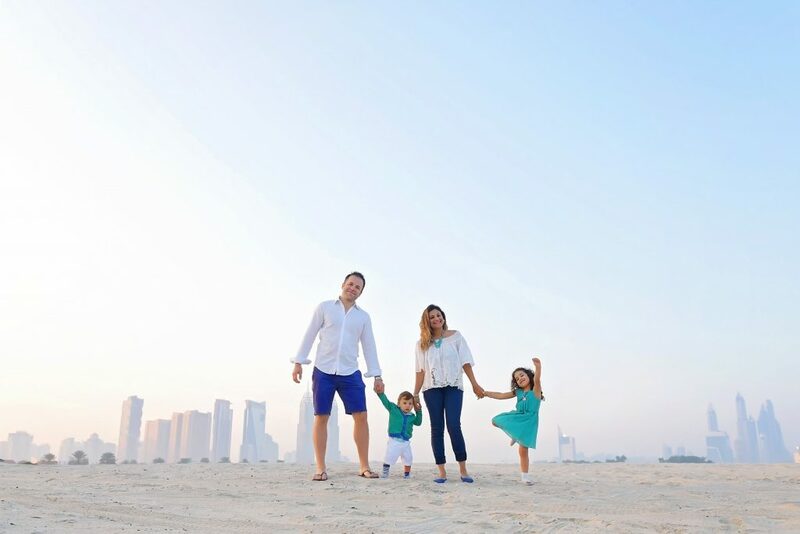 Her expat writing has been published in Expat Connect Dubai, Global Living Magazine, Expat Living Singapore, Expat Living Hong Kong, The Huffington Post & FIDI Global Relocation, while her interviews have appeared in Baby and Child UAE Magazine and Anglo Info. 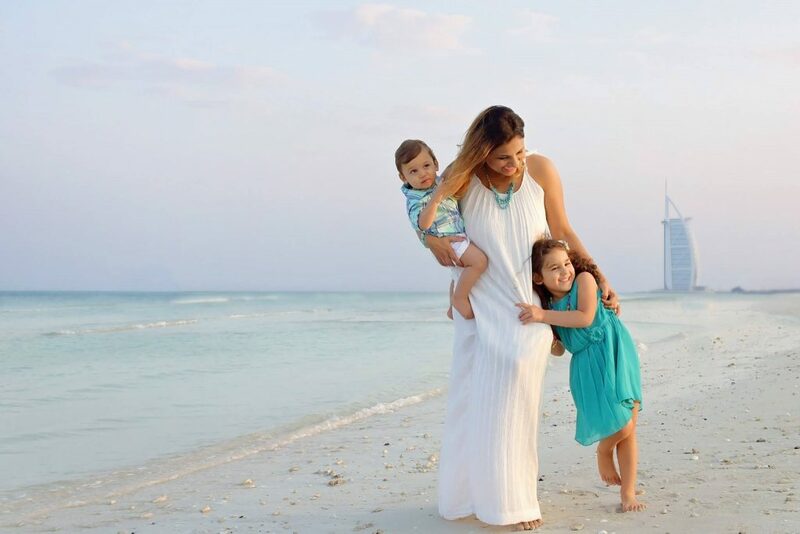 Her expat life has been featured on the Oprah Winfrey Network (OWN) for Super Soul Sunday and her blog has been shortlisted for Best Parent Blog 2017 by Time Out Dubai Kids. She is currently working on authoring her first book for globally mobile families, while preparing for her 9th international move – to Accra, Ghana. You can follow her on her upcoming African expat adventure at @andthenwemovedto. So emotional, it nearly made me cry! Thank you so much, sorry it made you cry! Its definitely a messy breakup, messier than expected. Writing this break up letter definitely helped to articulate the complicated emotions at this time. Mariam it was a very emotional goodbye letter to Dubai. It really made me teary eyed. you have penned it down beautifully. I wish you all the best in your international move. Take care and cherish all the good memories of the place! You will miss Dubai and I will miss coming to Dubai as you will not be there. Nicely done Miriam. I wonder if your time in Ghana will change how you feel about Dubai over time? Our feelings about a place are constantly evolving aren’t they! Left the UAE just last week I have the exact same feelings and sentiments. 😩 nicely written.. Thanks Sarah! Ah, you and I are in the same boat. So glad to hear you could relate. Hope all went well with your move! What a lovely piece of writing and how very resonant with me. Thank you for writing and sharing it! This took me back to last year when I left dubai for good. Wish you all a success wherever you move next. honestly dubai can never be replaced by any other city in this world to me. You made me cry! So eloquent and you said everything that is in my heart – raising your children to be Global Citizens is what resonated most with me. I grew up in Dubai and my son was born here and raised here too. Not to mention the safety and security! Thanks so much for writing this article. Love love love it! Thank you so much Simy! I’m touched to hear this resonated with you and that you grew up yourself in Dubai. What a complex city this is, but truly cosmopolitan and I will definitely miss the diversity here. Wishing you and your son all the best! Thank you so much for giving us such an intimate glimpse into your relationship with Dubai! It’s so hard to leave a place that you’ve fallen in love with and made your home (and maybe even harder when you didn’t expect to like it so much?). I love this tradition of yours of writing a goodbye letter–I did the same when I left Spain and encourage my clients to do it as well. Wishing you all the best in your next chapter! How i understand. I broke with Dubai in 1993 and still my heart leaps when it’s mentioned on TV. It has a place forever in my heart and still, I too, love and hate it. Okay, maybe i love more than hate. It is truly complicated . Happy landings. No Words to Praise This Article.. Thanks for Expressing my feelings..